"They were there. I was there. Right across from you and you didn't do anything. " And you know what I did? Me, this christian woman just off a week long retreat where we spent the majority of the time talking about Jesus and influence and community? Surely she couldn't be talking about me. I made it a point to spend the entire weekend reaching out to women who were on the outside. It had been my main job as a community leader and the main ability I felt comfortable with- I could make people feel welcome. I made a mental list of all the women I had talked to, patted myself on the back, and made sure no one could ever read that comment. I continued reading all the posts from the weekend link up talking about how amazing Influence was for them and I felt reassured that I was good. Then I read Kristen's post. And Jill's post. And Peggy's comments on them. And even Alia Joy's. Because I had seen every single one of them. Now none of this is to say that I think any of them were looking to me specifically but it was my job and more than that my heart's desire that no one felt this way and all of them had walked away feeling the same. I had even talked to three of them.. but how deep had I gone? Had they felt like I truly cared about what they were saying (which I did) or had they seen my eyes scanning the room for the next person who was alone and needed me to talk to them? Had they seen my smile and hoped that maybe this smile would bring the conversation that would open the door for them into this community and been disappointed when it had been just a friendly smile? Had they hoped I would say more than "good morning, how are you?" and felt even more alone when I hadn't? Had my compliments and our short conversation fallen flat on hopeful ears? Now this is the point where my heart struggled. Part of me wanted to say "I did the best I could. I tried with this woman and that woman and they seemed to enjoy their time. I was in my first trimester and with the huge time difference I was even sicker. I needed to go rest in my room in the down times. I felt nervous and shy talking to bigger bloggers like Emily and Jami but I walked up and introduced myself out of the blue because that's just what I had to do". But these words just left me feeling hollow. And then I heard Jessi's words from this weekend. "When we minister out of ourselves we will bleed out. And our blood is no good." How many times in my thoughts had I said "I did... I tried.. I.. I.. I" Even in their heartache I had turned things around toward myself. How selfish are those thoughts? Those will take some tough moments with God for me today because even though it truly was my desire to see all those women feel connected wasn't I taking pride and pleasure in the idea that in some small part I had helped it happen? The thing is, "Jesus already did all the bleeding". I had been so concerned with making sure those obviously alone felt included I had looked past the women with quick steps and tight smiles that were just as alone but hid it well because I hadn't asked the Lord to point me to them.. I had taken it upon myself to play hostess all weekend. Even if some women did feel comforted or included through my words or my smile or our conversations it was Jesus who had brought us together, Jesus who had given me the gift of words to speak, Jesus who had given me the very breath with which to speak it. And as I sat in my home and proudly patted myself on the back for being a part of this community it was Jesus who had given these women the strength to come out and lovingly say "Some of the people at the conference had failed me but Jesus was there and that was enough." So, I don't know if they will, but I hope these women... and even you sitting behind your computer screen.. read this and see that even when you feel small, the Lord can move through you in a BIG way. He can use your words, your insecurities and your heartache to touch people. You do have influence: both in your real lives and here on the internet. And I hope you all go and virtually meet each of those women because they are so sweet and beautiful and just as messed up as I am. And they are all daughters of the king. Thank you :) you are such a kind and beautiful heart. I'm so glad you blog. I wasn't there - but I was sitting at home thinking "woe is me". I'm not there and I'm here and there's no way I'll get there because I would have to fly to the other side of the world and my parents won't let me. And seeing all the Instagram pics and the tweets - well, after a while I just had to stop looking. I haven't found a bloggy bestie yet, but maybe that's because I'm not being one. But aside from that, you're so right - Jesus already did all the bleeding. I can put out onto this blogosphere the hurt, loneliness and jealousy or I can beg Him for a transfusion and allow His life to flow through me - and out of me - and into all of you and pray that He's the one who cures the loneliness, and if He does it through me? Well, the then world better watch out. xo Thank you again! for writing and letting me comment in essays! I had the same feeling about the conference. A bit of jealous that I wasn't there but at the same time amazed at the wonderful things happening. I can't wait to see everything develops from the women who were at the conference. I just wish there was a way to buy the podcast... that would be cool. I don't think you see your self they way many of use following see you. You are a "celebrity" blogger to us and because of that we expect more of you. Lately you've made a strong case of wanting to build a community, and I have tried to joint your community to only be rejected. I feel like I've reached out to you in many different ways and its all gone unnoticed. Until this post it didn't bother me all that much because I figure I wasn't following proper blog etiquette or something, but it seems from the comment that there are other who expect more of you as well. I continue to read your blog because I enjoy your writing, but it stings at the end of every month when you call for sponsors. It appears to me that you really want a community, but is feels like that offer is only open to those willing to pay to be included. I don't think there's anything wrong with having sponsors, but I disagree with paying for a relationship with someone. And I know its a complete jerk thing to write this and post in anonymously, but I don't believe for one second that I could identify myself without retribution. I don't believe enough in this community to own my words right now. I understand if you want to delete this, and fully expect you to. BTW - I did not attend the conference. My experience is with trying to make a connection online. As for sponsorship- i dont consider it paid community. I consider this a job- and the time i spend on my brand, the feature post, the gchat and other ways my sponsors are promoted is what that sponsorship money is for. My dream is to be able to write on this blog, sponsor other blogs for mutual exposure, attend blog conferences for growth, own my domain and rights to my photo hosting site, and in the end break even financially. The idea of actually making a profit is far in the future. I dont think you're a jerk- I just wish you would email me so I could connect personally and explain all this to you without you posting it on the internet for everyone to see. That would be a really good way to form a connection. I can't speak for any experience here on your blog Ashley but I hear this pesons post. I hear the hurt and I feel it. A few months ago I responded to a call from a blogger asking people to email her if they ever needed prayer/support. I was in a rough space and so I took the plunge and bore my soul in an email. She never responded. And it hurt. BUT I also recognize that Jesus in the only One who does the healing. I have to got to Him with my hurts because it is then that I will receive peace and comfort, joy and hope. The balance of offering love here online and making sure you're still fully present in life is hard. I think that you have to be willing to let the people who maybe aren't hearing your heart in this (and girl, I hear your heart) to know that you are one person. One person who loves Jesus, is fueled by His strength, and who has the same amount of hours in the day as the rest of us. Rest in His comfort, rely on His strength, and be honest about the fact that you can't/won't be able to do it all. I also agree with this person's post. I know what it feels like to be ignored. To not feel worthy. I get it. I know that we should cast all our anxiety on Him because He cares but it would be nice if this community of bloggers would care too. I just started reading your blog, and I want to say that you are absolutely amazing. You are real, and genuine, and don't hold back on sharing your beliefs and how you feel. You gave more than your all at Influence; you went above and beyond. I don't know how you couldn't have touched every person's heart that you talked to. You are only one person, you can only do so much. God had a plan for you, and you fulfilled it by touching as many people at the conference as possible. God had plans for everyone else there as well. Just because you, this one amazing person, didn't find maybe this one person, one commenter, doesn't mean that someone else didn't. It is impossible for everyone to be reached out by every single person there as much as the next. I hope that this helps a little, because it breaks my heart that you are hurting, given so much that you did at the conference. I have loved reading all the posts of the conference. With a group that big, it's hard to see all the loneliness. I love how you even pointed out that loneliness can be yet another way for God to use us for his purpose. It would have been great to be able to go, but the whole being in school and poor makes it harder. Maybe I can go another time. it's important not to take on circles of responsibility that are not yours. and although it's hard to think that something we did wasn't up to our fellow blogger's expectations. this is life! regardless, there is never a bad time to say, i'm sorry that i didn't say hi (for whatever reason). and then let God deal with it. there's probably so much more tied to that comment than you even know and it probably needs to be worked out with Jesus. Amen! It was such a joy meeting each and every person there. Grace, grace, grace for ourselves! Amen. I had a pastor tell me recently, when I was talking to him about some struggles with anxiety at the time, that when we go beyond our circle or responsibility, we make attempts to play God. And we can't do that, not only because it's sinful of us to think that we could do that, but because it just simply can't be done. God gives us our circles, and they're smaller than we think and larger than we think (depending on the moment) and He remains best in control when we go to Him and say "use me as You will". My husband's a pastor so I'm very familiar with unspoken expectations. A fellow pastor gave my husband some advice that has helped us both tremendously. He said, "You are not their savior." All you can do as an individual is seek Jesus and seek to love others. Ashley, I think you're being a little hard on yourself in this post. I was one of those quiet-natured people that you approached and treated wonderfully. I don't mind being alone. I don't mind sitting back and passively watching. I didn't expect anyone to befriend me. What I noticed as I sat quietly was an intentional effort by the community leaders to seek out people who weren't in an active conversation and to include them, befriend them, and engage them with other conference attendees. And I'm a very small time blogger. There would have been no reason to approach me because of my *status*. We can always reach out to people and love them. But ultimately, we must drive them toward Jesus because we will NEVER be enough. And we can't sacrifice our wholeness at the alter of meeting everyone's needs. Jesus has to do that (has ALREADY done that). We have to point to Him as the author and finisher. Or, we'll lose our minds, infuriate our families, and devalue our ministries. So Ashley, you're doing great. Keep showing grace to the critical, let their comments do their purifying work in your heart, and point 'em to Jesus. "You are not their savior." AMEN!!!!! i wasn't at influence and i've only attended one blogging conference. clearly, i am an expert on these type of things. but. i have to agree wholeheartedly with what jami and these other lovely ladies have said. you are responsible for: your thoughts, feelings and actions. other people are responsible for: their thoughts, feelings and actions. there is so much room for conviction in that truth and i don't want to trample some honest and grubby work that God might be doing in your heart. however, i hope, too, that you can apply the grace that whether you fail or you don't you are still just as loved by Christ. and. that how others react is something they need to lay before the Lord. sometimes being vulnerable is all you can give. and that is ok because we are a body of give and take. I just read this blog post, and the ones that you linked to, and I cried, too. I cried for you, for those girls, for anyone else who might have felt the same way, for the other leaders who may have felt that they failed people. And I cried because I know what it's like to be the quick stepped, tight lipped girl who appears to have it all together, even in the most uncomfortable situations. I wasn't at the conference, but I can relate to each sentiment expressed in these posts. But the thing is- as Jami said- that there is SO much more behind the comments and the posts. There are years of insecurities and past hurts that even the most hospitable, welcoming person cannot penetrate. We can only ever do our part and then Christ has to do the rest. Sometimes it means being uncomfortable. Sometimes there is purpose in the pain. But what I gather from the other blog posts I read was that, despite having dashed expectations, these women came away from the conference recognizing that they DO have influence. Sometimes it takes a less than ideal experience just to recognize how one can be an influence to others, and to see the ways in which God is at work in one's life. I admire your bravery in putting it out there and wear your heart on your sleeve for us to see how that comment affected you and to link to the other's posts, so we can see the raw reality of it all. The raw reality is so so beautiful, because as I read each of their posts, there was something in common. Through their brokeness, and emotions of not fitting in, God spoke to their hearts in a powerful way. In Kristen's post, she admitted she went in with HER expectations, not God's and at the conference He showed her HIS expectations were met. That's big. That's God showing His children once again, that He is at the center of IT ALL. And it's beautiful how He was able to use her experience to show her and all of us who read that He is the only expecation we should have. I don't think that there is anything that any of you leaders could have done better to dimish or do away with baggage as Alia Joy put it, because it wasn't your job to do that. It is His job. And as instruments of His work, it sounds like you guys did a wonderful job in preparing an event where His spirit would pour out and show this to those bloggers that felt left out or out of place. He is the ultimate healer of those emotions that build up over the years and that you were exposed to briefly. Don't beat yourself up. God is the one to handle everything from here on out. It may look messy at first, but it always turns out, oh so beautiful. I can hear pain in your words and I know from my experience of working at a mega church of not quite feeling like you fit in. I didn't fit in the "cookie cutter mold" of how my other co-workers acted or even dressed. I also know how it feels when you first start blogging and your unsure of what to say, how to reach out to people and that deep heart need of affirmation of "hey your doing this right". I also know that even deeper need of "we accept you" and "lets build a community". When I left working in full time ministry over two years ago my blogger/IG mama community helped heal the hurts in my heart. So I understand where you are coming from. As far as the comments on how Ashley is trying to build community, I can honestly say after paying for sponsorship with several blogs online (big blogs and not to big blogs) that Ashley has made me feel more welcomed as a blogger than anyone I have paid sponsorship for. I was actually quite surprised because I viewed her in a sense as "celebrity status" but after talking to her during the video conference I left with a big smile on my face. When my husband asked me why I was smiling I said "I feel like I am in community, my heart feels good". She has come along side me in so many ways and honestly after following her for the past year I've seen her come along side many women, not just women who pay for sponsorship. Sometimes, when we come from a place of un healed hurt then we look at things through the lens of that hurt. Its hard to see the true intentions of people who want to reach out and build community. Believe me when I read that ashley wanted to build community, I didn't trust her, but after seeing consistency in her personality in blogging and seeing how she has reached out I know in her heart of hearts she wants true community with her blog. 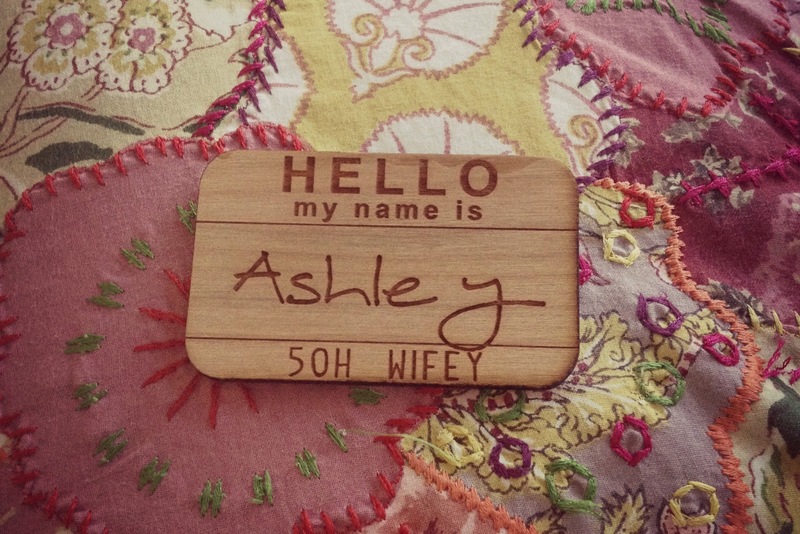 Im sure Ashley is doing the best she possibly can, she is a mom, a cops wife (so I know her husbands work hours must be pretty crazy) and doing this whole blog thing (which at times I am sure can be pretty overwhelming) . Im sure she didn't mean to hurt you in anyway. I would just ask that maybe you email her, talk to her. When two believers come together to heal a hurt and to resolve conflict the Lord blesses that. I hope that you are not discouraged and that you find encouragement in this blogger who truly wants to resolve this with you and who wants to talk about what is hurting your heart. Thanks for this post. I fear that I would be an outsider at influence much like those lovely bloggers expressed. I feel like my influence is small inconsequential. Yet I feel God speaking to my heart whispering to me that if I influence just one person then it is worth it. I have been praying that God teach me through all you wonderful ladies who have shared thoughts about influence. Because the truth is God is bigger than me and that is what matters. Ashley, you have the most amazing and genuine heart and I love you for it! This is probably the best and most honest and vulnerable posts I've read from you and I absolutely loved it. And I applaud you for leaving up those anonymous comments and responding from your heart. That needs to be done. Don't allow how others have put you on a pedestal to define who you are and what your responsibilities are. You are on the right path: the pursuit of Christ and His ministry. Only His opinion of you matters and you know He is looking right into your heart. He simply desires for it to be completely His and for you to follow His commands. And from what I can tell, you do an amazing job of that. Thank you for all that you do in this community but more-so for being the amazing wife and mother that you are to your family. And setting that example for this community of women. There will always be critics. You can't please everyone. But in the end, you have to trust in Christ's call, do what He says and seek His approval of "Well done, my good and faithful servant." I feel as if I can relate to this and I wasn't even there. It does feel awkward at these types of events because all just truly want to have a good time and fellowship while giving God all the glory but I know from experience how it feels to be the "outside girl" looking in. Even though you may speak or try to infuse yourself in your surroundings it truly is hard. I suspect that is why I am so hesitant to attend conferences. A lot of times that's why I am hesitant to comment on new blogs I find because I feel like I won't fit in. I'm glad that you and several others are speaking on this topic, are aware of it, and truly have the heart to make sure that all are included. Hopefully these posts will make it easier for some of us in the future as we attempt to form bonds with other bloggers:) Thanks so much for your thoughts. I love what someone said at Influence, "You can do all things through Christ, but you don't have to." BAM. I think a lot of us felt strange because we were all meeting each other sans internet. It was overwhelming. Good, but overwhelming and we can only do so much. Your strength showed through in other ways. Ashley, I just wanted to say I am sorry that you were targeted and insulted. I am an extrovert but at the same time can get shy in large groups, and you know maybe some of the people who attended and didn't feel included were shy and overwhelmed. It is in no way your fault! Regarding Anonymous: my husband gets treated like a celeb....not because he is one, but because he has a large social media following people can make this assumption. And he is just a husband and father, and a mess like all of us. We aren't wealthy or 'special'. People make giant misperception online due to our stats or whatnot. I think Ashley you go out of your way to include people...and I am a sponsor!! Bless you and everyone who attended!! Ashley, I was worried when I posted my recap of how things went at Influence that some of you would take on the guilt or responsibility of my feelings and I never wanted that to be the case. When we write of our vulnerabilities and hurts it can seem like we are blaming someone for making us feel left out or hurting us. And maybe someone did feel that way, I don't know, but that was never at all what I felt. In so many ways, these feelings have been a long standing issue that has way more to do with me and God than with me and any group of ladies. And really, I had such a good time with you and Andi talking about your very interesting trips etc. and you did make me feel very included from the first time I came to the room. So, I just wanted to make sure that you know, that while it's really important to ask God if we should be doing more in a certain area, there's also grace that God is big enough and He meets us right where we are. I left that conference with a sweet assurance from God that He was enough and I had to go through that to see those areas clearly. Much love to you and I look forward to seeing you next year.